If you have old tree stumps around your backyard, you may be inadvertently encouraging termites to nest, and thereby causing potential damage to your home. 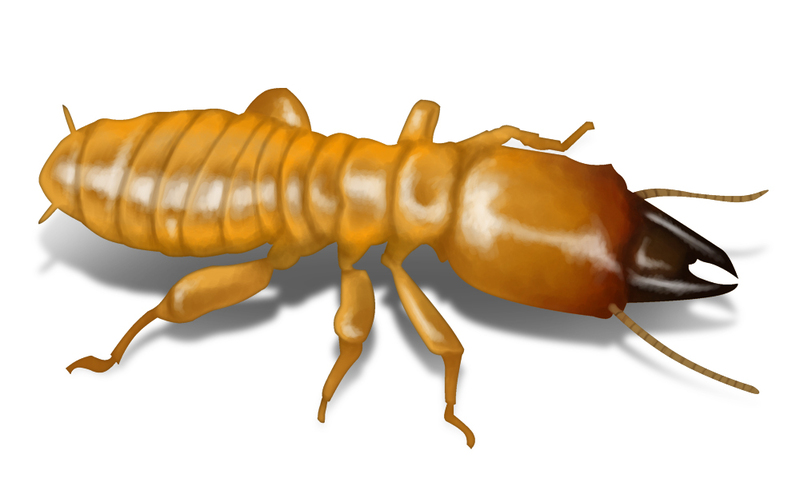 Termites require rotting wood in order to thrive; chemically treated wood discourages pests and is preferable in any type of landscaping and construction work. Mounds of wood chips, piles of unused wood and rotting tree stumps all encourage termites to nest and thrive. Termites draw their nutrition from any rotting products containing cellulose (paper, cotton, burlap, wood, wood chips, leaves and grass). The fungi that is used to break down and cause wood rot thrives in moist environments, so wet piles of rotting wood either in or around the house will attract termite colonies. Trees that have been cut down, either from dropping branches, storms or due to leaves falling over gutters often have their stumps left behind. To have the a hazardous tree cut down solves the maintenance issues of leaves and branches clogging gutters and causing roof damage. However, the job of properly ensuring that the property is safe from damage means that the stump should be removed completely. Prior to the purchase of a house, a termite inspection should be carried out; any tree stumps that are left in the property will more than likely be infested with termites. Ensuring that if a property is otherwise suitable for purchase, that stump removal is budgeted for will prevent termite damage to the building. If a stump is host to a termite colony, having a professional pest controller come to remove the termites and then hiring a stump grinding contractor to bore out the stump is an effective prevention to stop any termites from migrating into the housing structure. Any landscaping work that is carried out should have old stumps removed prior to the construction of new gardens or architectural landscaping features. The roots of a tree can regrow in other areas, disturbing and destroying new gardens. If there are any pests in the tree stump, they can expand their colony, moving into new areas and destroying them. To properly protect your biggest asset, your home, ensure that you have any pest colonies professionally poisoned, remove any sources of rotting wood (food supplies) and old tree stumps bored out by a contractor. This way you will ensure that termites have no nutrition or places to inhabit around your home. Learn about stump grinding and landscaping. We come across heaps of termites in the stumps we grind around Brisbane.